20th INTERNATIONAL MEETING FOR ORGANISERS OF PILGRIMAGES, LEADERS OF PEACE CENTRES AND MEDJUGORJE PRAYER AND CHARITY GROUPS. On Sunday, March 3, the 20th International Meeting for organisers of pilgrimages, leaders of peace centres and Medjugorje prayer and charity groups began. There are participants from 17 countries: Italy, England, the United States, Ireland, Canada, Lebanon, Poland, France, Belgium, Germany, Austria, Switzerland, Latvia, Russia, Ukraine, Croatia and Bosnia and Herzegovina. The meeting is held with theme related to the Year of Faith: “Increase our faith”. Participants, apart from lectures and sharing of experiences with lecturers, are also participating in the evening prayer programme in parish church in Medjugorje. Fr. Ivan Dugandžić – Franciscan priest, member of the Franciscan Province of Herzegovina. He was born in 1943 in Krehin Gradac, municipality of Čitluk, Herzegovina. After his graduation from secondary school in Dubrovnik, in 1962, he entered the Franciscan order. He completed his theological studies in Sarajevo and Königstein (Germany) and was ordained a priest in 1969. He continued post-graduate studies and obtained his doctoral degree in Biblical Theology in Würzburg (Germany). From 1990 to 2010, he lived and worked in Zagreb. He conducted courses teaching exegesis of the New Testament and Biblical Theology at the Catholic Theological Faculty and its Institutes. He publishes his works in professional theology journals. In various publications of religious press he elaborates on Biblical themes as seen in contemporary times. He is the author of several books. He lived and worked in Međugorje during two time periods: from 1970 to 1972 and from 1985 to 1988. Now he is staying and is active in Čitluk. 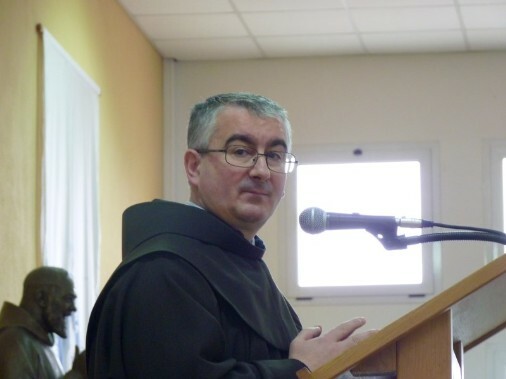 Fr Danimir Pezer – a Franciscan, member of the Province of Bosna srebrna, born in 1973 in Kakanj, Bosnia and Herzegovina. He joined the Franciscan Order in 1992. He attended his studies of Philosophy and Theology at the Franciscan Theology in Sarajevo. He was ordained to the priesthood in 2000, and he continued his postgraduate studies and got his PhD in Liturgy at the Pontifical Liturgical Institute of Saint Anselm in Rome. 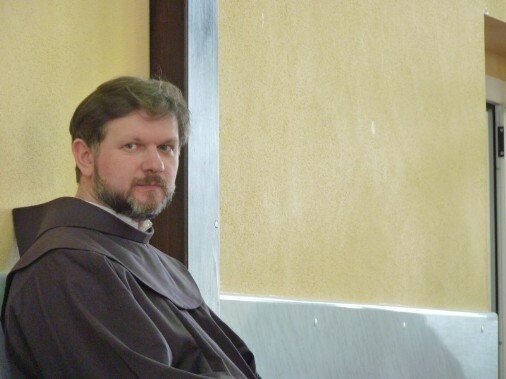 He is actually performing his duty of a lecturer and educator of seminarians at the Franciscan Theology in Sarajevo. Fr Mario Cifrak, born in 1966 in Virovitica, Croatia. He graduated in 1985 from the Inter-Diocesan High School for priests in Zagreb. The same year, he joined the Franciscan Order. He continued his philosophical and theological studies at the Catholic Faculty of Theology of the University of Zagreb. He also graduated from classical philology. He was ordained to the priesthood in 1993. He got his M.Sc. in Biblical Sciences at the Pontifical Biblical Institute in Rome in 1997 and his PhD in 2001 at the Faculty of Theology of the University of Freiburg. He started to lecture at the Catholic Faculty of Theology of the University of Zagreb in 2001, where he was elected Senior Assistant at the Department of Holy Scripture of the New Testament, and Scientific Associate in 2006, and Assistant Professor in 2007. In 2008, he became the Head of the Department of Holy Scripture of the New Testament, and in 2011, he has got a scientific-educational title of an Associate Professor. He is actually lecturing the exegesis of the New Testament and the Greek Biblical language.